If there is a tale of resurrection that actually moves me, it has to be the one about the Easter Bilby. When the Greater Bilby, a native Australian marsupial, was almost wiped out by introduced rabbits and foxes, Haigh’s, Adelaide’s well-known chocolate-maker, made the Easter Bilby the symbol of a successful campaign to protect native wildlife. I love chocolate. And, for that reason, I transfer my largeness of heart to chocolatiers. In April 2015, when I visited Adelaide, South Australia, I was shown to Haigh’s, the region’s most famous chocolatier and one of vintage. The family-owned confectionery has been in business since 1915 when Alfred E Haigh began selling chocolates out of a store on King William Street. Today, the factory at 154 Greenhill Road, Parkside is run by the fourth generation of the Haigh family. 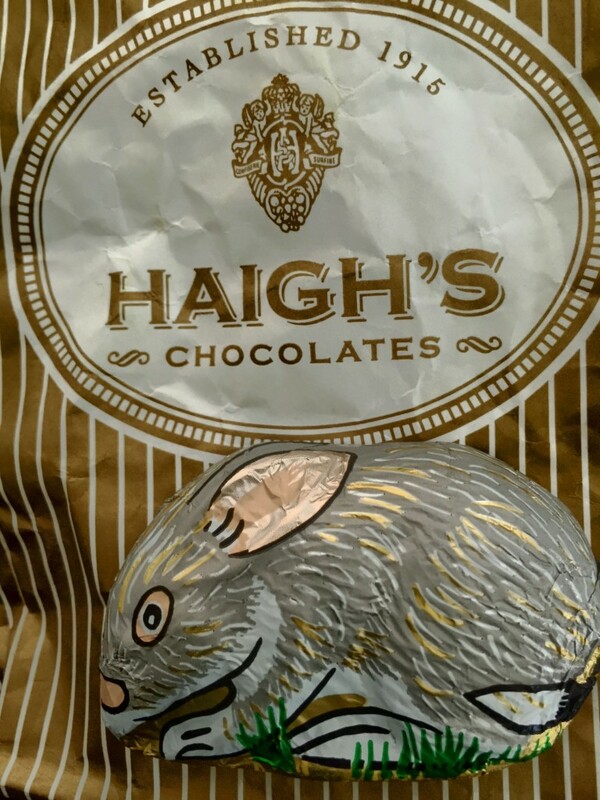 Among the many remarkable contributions of Haigh’s, the sweetest is its pledge to protect the Greater Bilby. When early European settlers introduced rabbits, feral cats and foxes to Australia, they caused untold damage, the consequences of which the environment continues to suffer today. Some sentient Australians who woke up to the scale of this disaster realised that to idolise the traditional Easter mascot, the bunny, would be akin to rubbing salt in some deep ecological wounds. War was waged on rabbits but it was a bit like chopping off the heads of a Lernean Hydra – the little critters reproduced so rapidly that they were all over the place, burrowing into the soft earth and dislodging the original occupants – Australia’s marsupials – from the land. Hunting was also to blame for the decline of Australia’s native wildlife. Close to 30 species of marsupials and several species of native birds are thought to have become extinct after Europeans set foot on Australian soil, many of these due to habitat loss from unsustainable agricultural practices and, of course, hunting and introduced predators and competitors. Among the casualties of the rabbit population explosion was the Greater Bilby (Macrotis lagotis), now known simply as the Bilby because its closest relative, the Lesser Bilby, sank into the abyss of time in 1931. 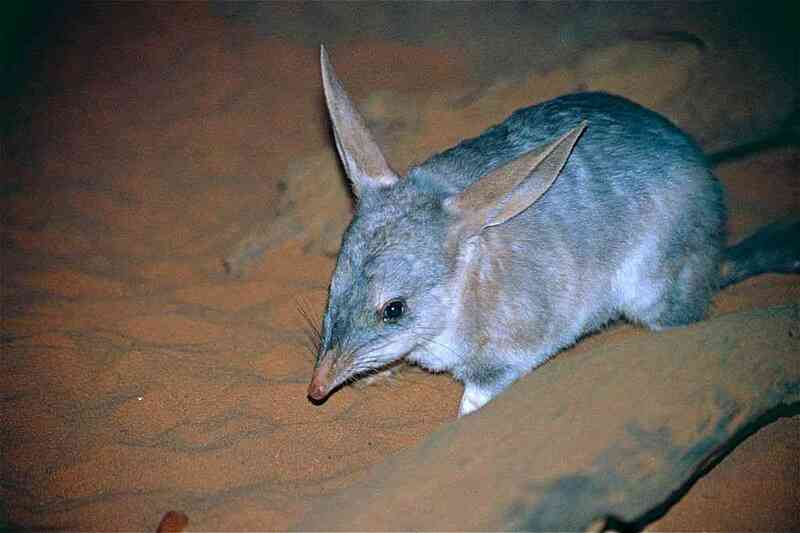 A bandicoot-like nocturnal marsupial with long rabbit-like ears, the Greater Bilby clung on. It is classified as Vulnerable and protected where it occurs in the wild in parts of Australia’s arid Northern Territory. The animal once occurred in South Australia, where Haigh’s runs its operations. In 1993, Haigh’s made its stance official when it joined forces with Rabbit Free Australia, a nonprofit that was established in 1991 with the aim to eradicate introduced rabbits from Australia. The chocolatier broke tradition by replacing Easter bunnies with Easter Bilbies. Royalties from the sale of Haigh’s Easter Bilby confectionery support the Arid Recovery Project, a fenced reserve in South Australia established in 1997 that is kept free of feral cats, dogs, rabbits and foxes. Hope runs high as a small population of about 1,500 bilbies, along with other native species, has now clawed back. I saw captive-bred bilbies at the Cleland Wildlife Park near Adelaide. On the way back to the city, my guide Mary Ann Kennedy stopped for a look at the Haigh’s confectionery (where visitors were gently told not to take photographs). Easter was behind us and some of the last stock of Easter Bilbies was going at a discount. So, I picked up some of the nicely wrapped Easter Bilbies. And — don’t look at me like that — I ate them!